One upon a time, an overwhelming majority of decks were comprised of wood. While wood can still be a wonderful choice, composite decking materials are quickly winning favor with homeowners because of the minimal maintenance they require. If you’re thinking of installing a composite deck on your property, here’s a cheat sheet that can assist you in the decision making process. Definition: Composite decking consists of a combination of plastic material and wood particles. Many times, the plastic material is made of recycled by-products such as milk jugs, soda bottles and shopping bags. Why it’s Gaining Popularity: Hands down, composite decking will be less maintenance than a wooden deck because it does not need to be sanded or stained again…ever. Due to their composition, they do not rot and are not a target for termites. Hollow vs Solid: While there are many different manufacturers of composite decking, there is a single differentiating factor between all types of composite decking. That is whether the deck in hollow or solid. What’s the difference? 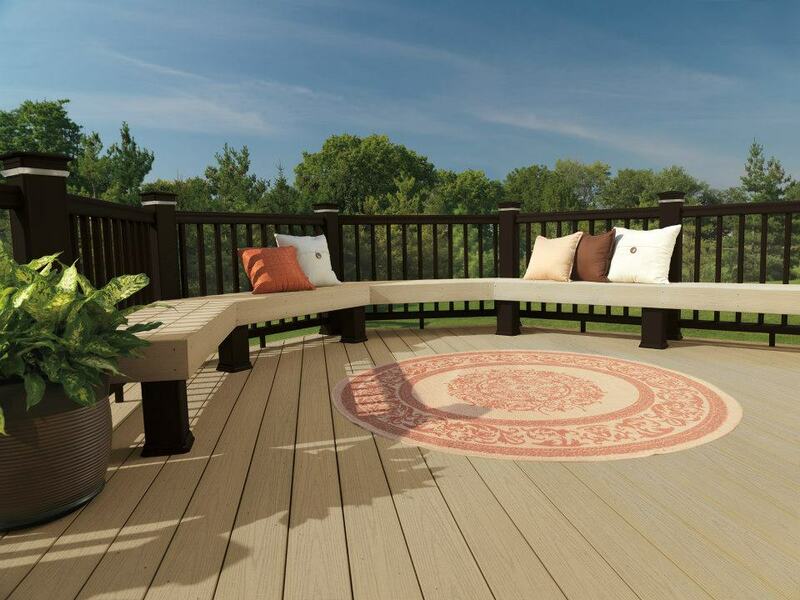 Hollow composite decks are lighter, less expensive and look less like wood, but they do not expand and contact as much as a solid composite deck. Hollow decks are more flexible and are susceptible to damage prior installation. For these reasons, solid composite decks tend to be more popular. Polyethylene Based: This is the most cost effective of the three types and is the most popular composite decking type on the market. It most closely imitates the look of wood and can be cut into the longest deck boards. Polypropylene Based: This type of composite decking is resistant to heat. Furthermore, it does not become distorted when exposed to extended periods of moisture. This type of decking has a shiny appearance. 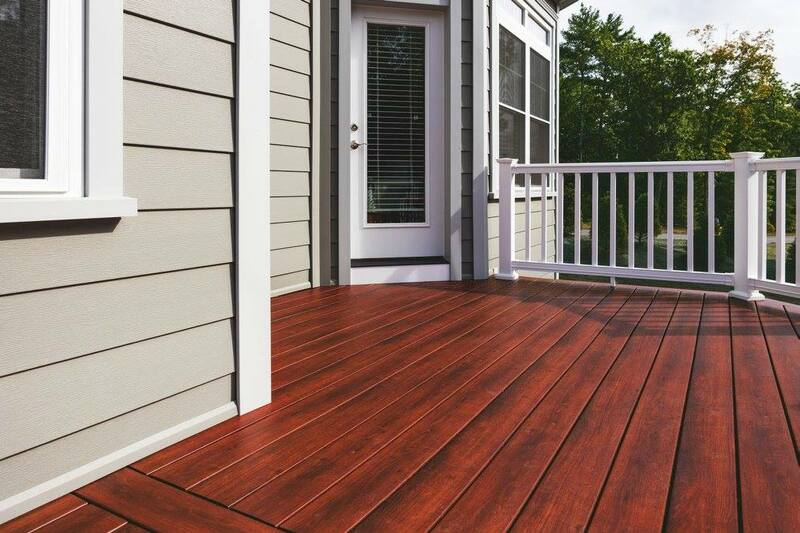 Polyvinyl Chloride Based: While this type of deck does not imitate the look of wood, it is lightweight and has the hardest surface of the three. It can become more slippery after a rainfall. It gains favor with homeowners for being more scratch resistant than other types. "The workers do a fabulous job." - Doris J. "Just a note let let you know how great the new deck looks! Dave and his partner did a great professional looking job. Please let them know how much we appreciated the work. I am glad you convinced us to go with the new Zuri® decking. It looks great. That handrail is wonderful." - Allen R.
"Very professional....from the initial planning to the finish...Nice guys and kept things neat and clean! Love the deck! Looks great!" - Donna S.
"Excellent work, professional service." - Joe F.